If you think that growing Plumeria or 'Frangipani' plants in the UK is impossible, then as Jamie says 'Think Again'. 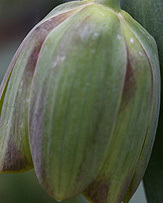 Yes will need to grow them indoors, or in a conservatory, however in can be done given enough light ans enough warmth. If you happen to have the money then a conservatory is the ideal place to grow Plumeria or 'Frangipani', they will need lots of light, and usually some artificial light during long dark winters. Cheaper, but you will need to work on it. Look for a brightly lit position and warmth. 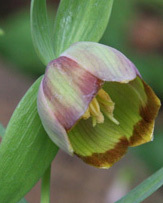 Good air circulation and the ability to open the plants to the great outdoors during summer is ideal. 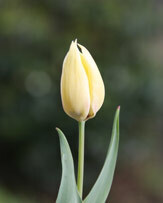 Look for the smaller growing varieties for indoors. Frangipani will need pruning if grown indoors, however they do take well to pruning. Probably not worth the effort. You would need a very sunny aspect, protection from cold winds and the ability to cover then up in winter. You will need to monitor moisture and fertilizer, well drained moist soil, that is allowed to dry a fair bit between waterings. 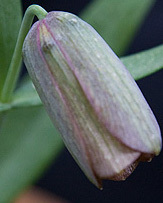 General purpose slow release fertilizer in spring and again in summer. 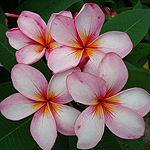 Plumeria or 'Frangipani' are one of the most beautiful plants in cultivation. 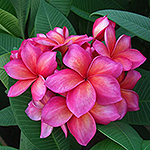 Plumeria have fantastic flowers as well as incredible fragrance. 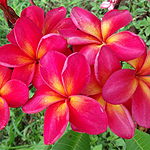 With new hybrid Plumeria now available from Australia Plumeria can be grown successfully in colder climates.